Ongoing debate on the medical benefits of cannabis has baffled the minds of the critics and fanatics. Research shows some medical benefits of the cannabis that lead to its legal use for the purpose of curing or improving one’s health. Certain countries such as Canada legalized the use of cannabis but only for the medical use. As used for the purpose of treatment, there are many ways on how to ingest the medical cannabis. Patients and doctors can find a more effective way that could meet the patient’s specific needs. Although the effects may vary with each type of consumption, sometimes affecting the effectiveness of its absorption, the length of time from ingestion to absorption before it could take effect. Each method should be suited to what would be better for patients considering its effects and patient’s restrictions. Traditionally, this is the most widely used methods of ingestion of cannabis. Smoking the dried leaves of the cannabis plant that is rolled into a joint (cigarette) or smoked using a water pipe called a bong. The effect of the inhalation of the smoke of the cannabis plant is almost immediate but diminishes its effect almost that soon. The potency of the THC or Tetrahydrocannabinol, a potent psychoactive cannabis compound depends on the individual patient. This method is contraindicated for patients with airway or lung dysfunction that could be aggravated by this method. Vaporizing is a process of removing or extracting therapeutic ingredients from the original material at a much lower temperature. This allows the patient to inhale vapor rather than smoke that could cause irritation to the throat and other air passages. Patients may express that they will not feel that they are getting anything because of the absence of the burning sensation in the throat felt on smoke. Other byproducts of the cannabis plant are the cannabis oil. This oil is mixed with other ingredients such as butter or used as oil to cook food. From the term edible, this method should be ingested in the digestive system for the absorption. Compared to other methods, the absorption from the digestive system to the blood will take time. Patient expresses that this is more relaxing than other methods where there is a feeling of “High”. This should be taken in an empty stomach to facilitate its fast absorption. 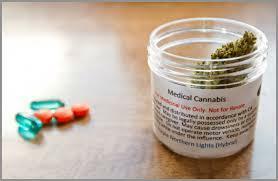 Edible Cannabis should be taken slowly in small amount and in moderation to control its effect to prevent over medication. Like the edible cannabis, this method uses oils mixed with other ingredients to become lotions, balms, sprays, creams and oils. This method is applied on the skin and absorb by the small blood vessels underlying it. This method is perfect for skin disease likes psoriasis, joint pains, rheumatoid arthritis some muscle spasm and stress. Topical administration of cannabis is completely nonpsychoactive and the symptoms of being would be prevented with just one bath. Although these methods are currently being used by medical practitioners in administering medical cannabis to their patient, arguments and doubts are still present, whether the cannabis itself has a medical benefit.